books. they're so easy to order by telephone. 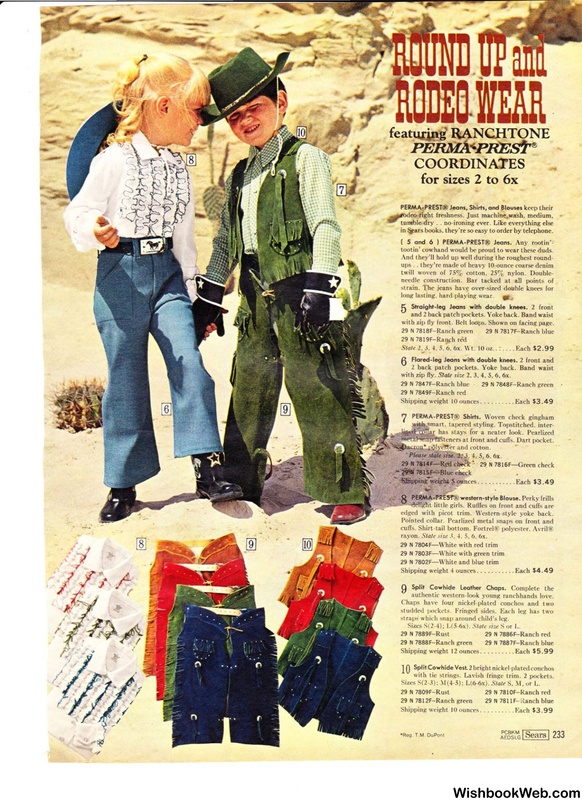 tootin' cowhand would be proud to wear these duds. long lasting, hard playing wear. Straight-leg Jeans with double knees. with. zip ily front. Belt loops. Shown on facing page. edged with picot trim . Western-style yoke back. Shipping weight 4 ounces . ..
authentic western-look young ra.nchhancls love. straps which snap around child's leg. with tie strings. Lavish fringe trim. 2 pocket s.
Sizes S(2-J ): :\1 (4-5): L(6-6x). Shipping weight 10 ounces .